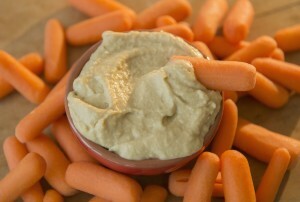 What is listeria and how did it get in my hummus? WASHINGTON — Large food recalls have forced consumers to throw away hummus and ice cream that may be contaminated with the same potentially deadly bacteria — listeria. Tainted Blue Bell ice cream products are linked to eight listeria illnesses in Kansas and Texas; three of those who contracted the illness have died. Blue Bell has temporarily closed its facility in Broken Arrow, Oklahoma, and shut down a production line at its facility in Brenham, Texas, where the company is headquartered. Blue Bell has recalled more than two dozen of its products since last month. Sabra Dipping Co. announced a recall of 30,000 cases of its Classic Hummus due to possible listeria contamination this week, though no illnesses have been linked to that recall. Listeria is a hardy bacteria found in soil and water that can be carried by animals. It is often found in processed meats because it can contaminate a processing facility and stay there for a long period of time, and it can grow in the cold temperature of a refrigerator. It is also commonly found in unpasteurized cheeses and unpasteurized milk, and it is sometimes found in other foods as well — 30 people died in a 2011 listeria outbreak linked to cantaloupe. Blue Bell ice cream has recalled several products made on production lines in Texas and Oklahoma after the ice cream was linked to eight illnesses, including three deaths, in Texas and Kansas. The Sabra hummus recall came after a product sample in Michigan tested positive for listeria; there are no known illnesses related to that recall. State and federal inspectors are still investigating the ice cream outbreak and have not released a cause. Contamination is often the result of dirty equipment or unsanitary conditions in a plant. I THINK I MAY HAVE ONE OF THESE PRODUCTS IN MY HOME. WHAT DO I DO? The government’s motto is “when in doubt, throw it out.” If you throw something away that you think might be tainted, place it in a closed plastic bag in a sealed trash can to prevent animals or other people from eating it. The ice cream can have a shelf life of up to two years. In the case of the ice cream and hummus recalls, there is nothing you can do to prevent it — just throw away the food if you learn they have been recalled. With fruit, scrubbing is never a bad idea, but it may not rid produce of all contaminants. In the case of the cantaloupe, the listeria likely hid on the fruit’s thick, rough skin. Health officials think people may have been sickened when people cut into their cantaloupes, bringing listeria on the outside of the fruit to the inside.